Applications for our Summer-Fall 2019 Active Learning Faculty Fellowship are currently closed. Please contact us if you would like to be informed of new Faculty Fellowship opportunities. 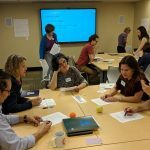 The Learning Innovation Faculty Fellows program provides semester- or year-long support and development for a group of faculty working together to incorporate new and innovative pedagogies into the curriculum of a program or department. Consulting about pedagogy, instructional design, assessment and instructional technologies. Training in the use of tools or software needed to complete the planned course activities. $500 per semester for faculty participants paid to a Duke research account. $250 per semester for graduate students assisting the faculty team. Collaboration and discussion with a cohort of Duke colleagues. Program management and logistical arrangements as needed. Attend an orientation and monthly fellows meetings. Plan and implement a specific or project or set of activities to incorporate new and innovative pedagogies into the curriculum of a program or department. Get help evaluating the effectiveness of new teaching and learning activities carried out in fellows’ classes. Share experiences in the program with the Duke community through blog posts and/or public events. Contact us »Propose an idea for a Learning Innovation Faculty Fellowship. See the Learning Innovation Fellowship Archive for examples of prior programs. Past topics have included Designing Courses for Active Learning, Flipping the Classroom, Team-Based Learning and Teaching with Video. 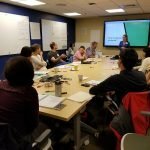 Learn about the impact Learning Innovation's fellows programs have had on teaching and learning at Duke.